There aren’t many cities, none in fact, where you can kayak and raft class III and IV rapids in an urban setting. Richmond is the only place in the country where you can run the rapids, pull out and walk to a downtown brewery, bar or restaurant. The James River in Richmond VA is so much more than a place to shoot rapids. Belle Isle is a gathering place with rocks perfect for picnicking, and refreshing waters for wading and swimming. 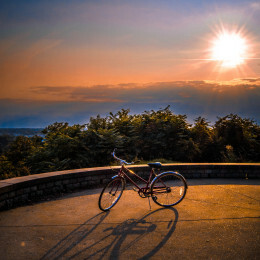 The James River Park system features single track trails, the North Bank and Buttermilk (a Best Urban Trail), that are perfect for hiking, running and mountain biking. See our list below of outdoor activities, sites, and parks along the James River in Richmond. For a detailed map with access points along the James River, click here or check out the list of James River activities and locations below.